Following last week’s T in the Park line-up announcement, festival organisers DF Concerts and founding partner Tennent’s Lager recently announced some new additions to the 2015 bill, including Mark Ronson (DJ set), Everything Everything, Admiral Fallow, Jack Savoretti, Rae Morris, Marmozets and Saint Raymond. Fans will be able to get their hands on T in the Park 2015 tickets when they go on sale at 9am, Friday 27 February from www.tinthepark.com. 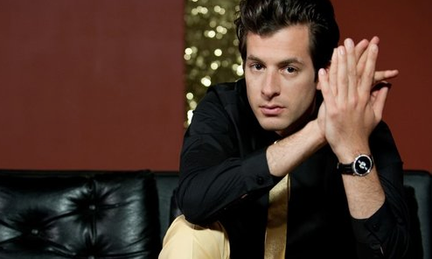 Multi-Grammy Award-winning producer and musician Mark Ronson will make his T in the Park debut this July in what may be one of the most hotly anticipated DJ sets of the weekend at Strathallan Castle. Ronson returned with a bang at the end of last year with his record-breaking smash hit single ‘Uptown Funk’ featuring Bruno Mars. He followed up with his brand new album ‘Uptown Special’, which became his first-ever number one album in the UK and entered the Top Ten on the Billboard 200 chart in the US when it was released earlier this year. Check the site for more info on all the new additions.